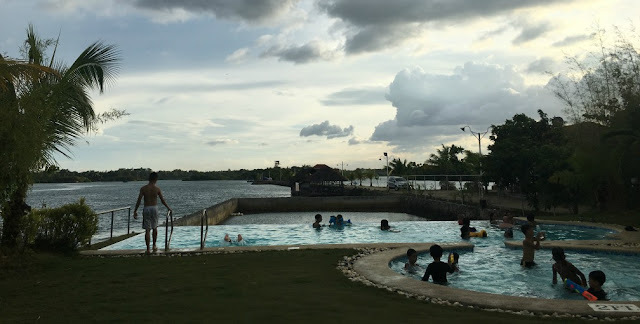 Liloan may not be part of your list on your Cebu itineraries but if lighthouses, water parks and wakeboarding interest you, you should include this town on your list which is just a few minutes away from Mactan Cebu International Airport. 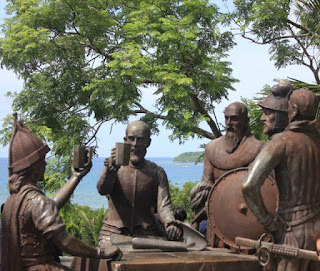 Before going any further this is Liloan the town located in the central eastern part of Cebu next to the municipality of Consolacion and before the town of Compostela. 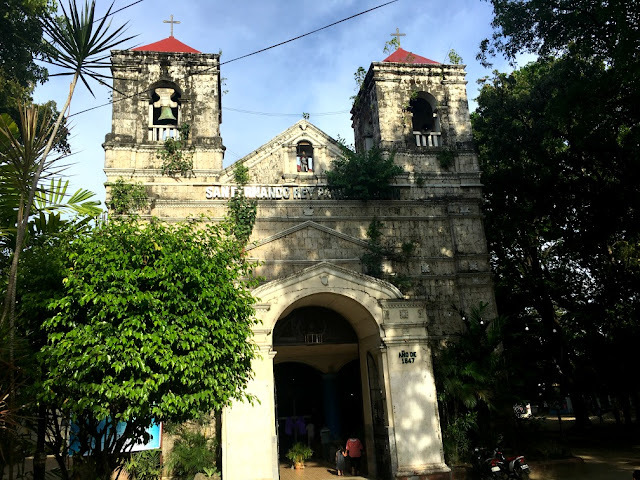 This blog is not about the other famous Liloan, a barangay in the municipality of Santander (the port location for your Cebu to Dumaguete trip and vice versa). 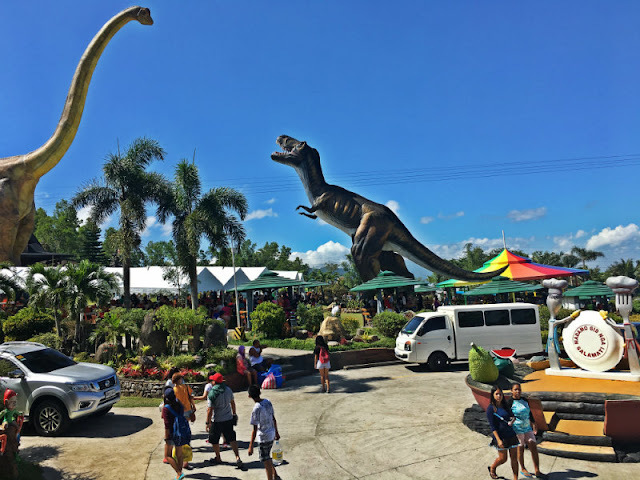 Liloan is another off the beaten destination in Cebu but Liloan has a lot to offer and listed below are 6 of the top tourist spots in the municipality. 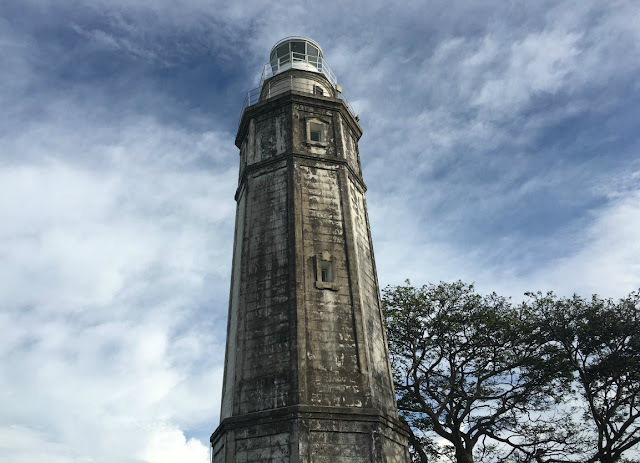 The Bagacay Point Lighthouse or Parola ng Bagacay Point is originally built in 1857 by the Spaniards and per Wikipedia, the current tower was reconstructed in 1904 by order of William Howard Taft, the first Governor-General of the Philippines and later the President of the United States. Option 1: To get to the lighthouse, ride a Liloan bound jeepney (#25) along National Highway in Mandaue City fronting San Miguel Brewery or across SM City Cebu crossing near Sun Gold and disembark at 7 Eleven, immediately before reaching San Fernando Rey Parish Church then walk your way towards a corner near the church until you see motorcycles for hire or habal-habal. Fare from the church to the bridge is 10 pesos. 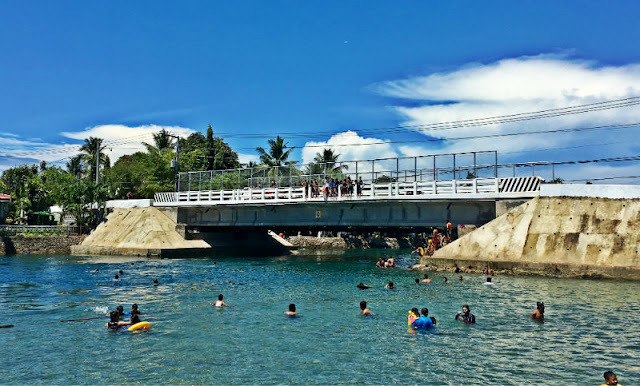 As of this writing the bridge going to Catarman is under construction, so the habal habal driver will only bring you to the foot of the bridge. 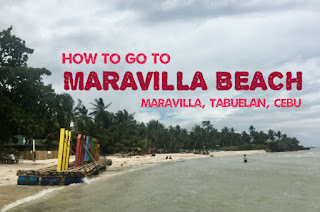 From the bridge, walk your way to the other side then hire another habal habal (motorbike) and tell the driver to bring you to Parola or Bagacay Lighthouse. Fare is 30 pesos (one way). You might want to negotiate the driver to wait for you if you intend to stay there for a shorter period. For safety reasons, the driver has an advice for ladies, if you want to do the tour solo, go with the drivers that wear the LIJODA purple shirt, it's an acronym that stands for Liloan Joint Drivers Association. Hire a taxi, Grab or Uber or bring your own vehicle then take this route. From Total gasoline station in Mandaue (that gasoline station before reaching Marcelo Fernan Bridge), take the road going to Umapad that go straight to Tayud, Consolacion until you reached the Petron gas station in Landing, Catarman in Liloan, then turn right, you should see the lighthouse or ask around the way to Amara, the lighthouse is just beside it. 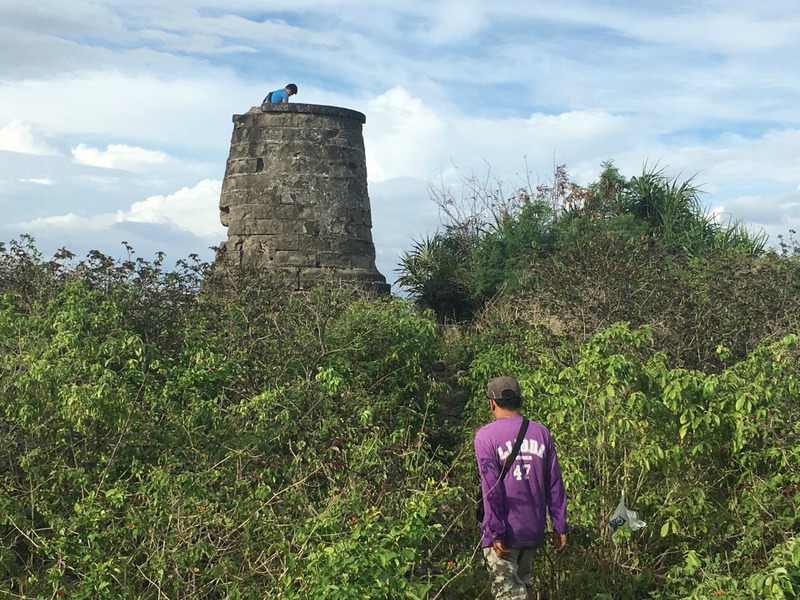 The Bantayan sa Hari is a watchtower built by the Spaniards that stands on the cliff overlooking the Mactan Channel. 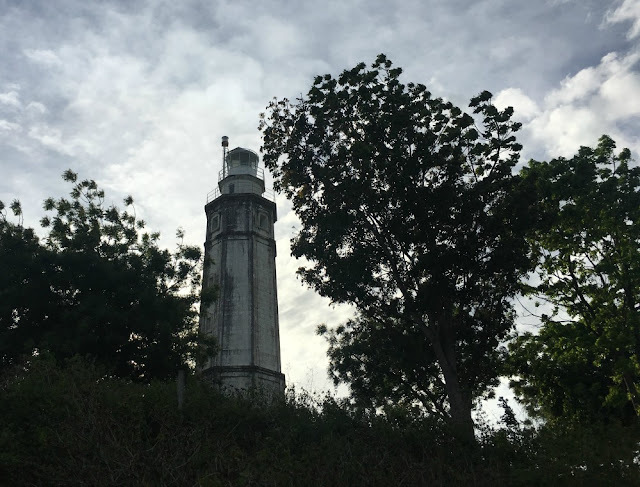 The watchtower is just a few minutes walk downwards from Bagacay Lighthouse. I asked the habal habal driver for directions but he toured me there instead, so he automatically became my tourist guide and photographer (lol). Thanks to this man, the habal habal driver who automatically became my tour guide and my photographer haha. The one on top of the tower has also became my photographer when I get there (haha) and I offer to take his picture as well. Thanks guys! The driver also told me, there are caves very near this watchtower, he only told me when we were on our way to Papa Kits. The church is located in front of Liloan Municipal Hall. 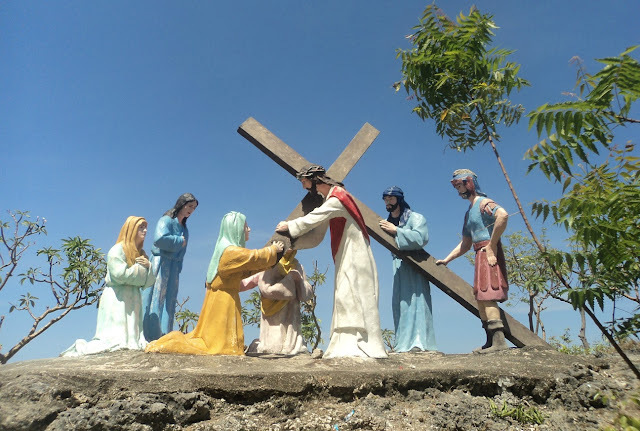 Getting there: Take any Liloan bound jeepney (#25) along National Highway fronting San Miguel Brewery or across SM City Crossing near Sun Gold then disembark at 7Eleven and walk your way towards the church, it is just along national road. Live Love Liloan. Behind the slogan is Liloan Municipal Hall. 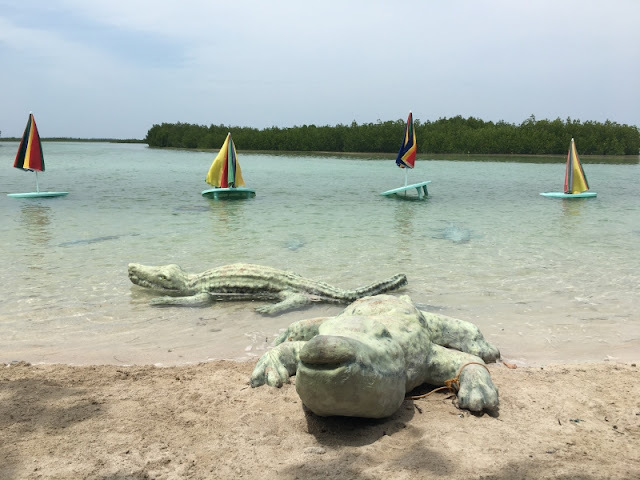 Papa Kit's is not just a fishing lagoon. 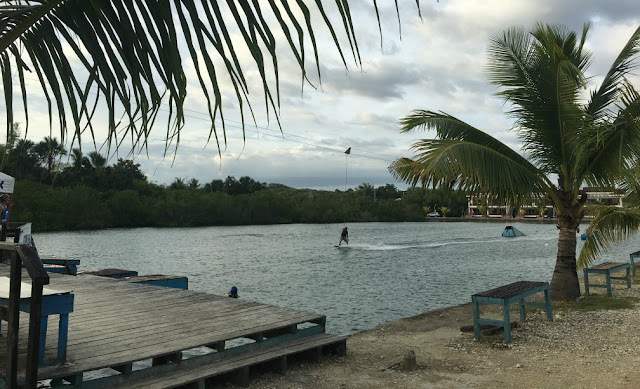 Aside from fishing and swimming, you can do wakeboarding, horseback riding, wall climbing, zip-lining, jungle obstacle, etc. The activities have a corresponding price, click here. 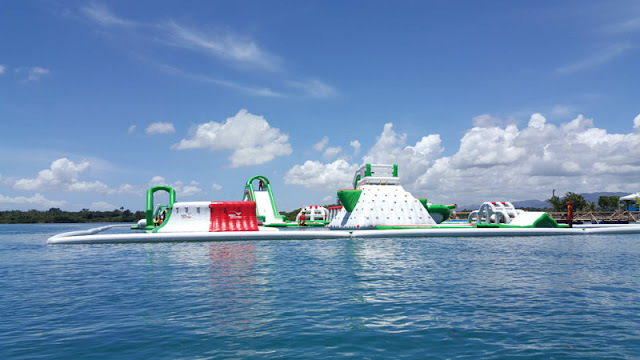 You can also enjoy the newly opened inflatable water park, AquaQuattro (09158342747), situated inside Papa Kit's premises. 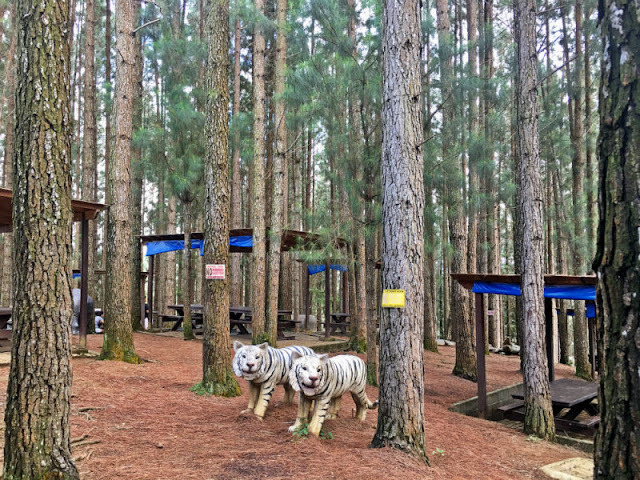 If you want to go there and just enjoy the view and relax, entrance fee is Php100 where Php50 is consumable. Getting there: Take the same instructions as getting to Bagacay Point Lighthouse above but tell the driver to drop you off at Papa Kit's. 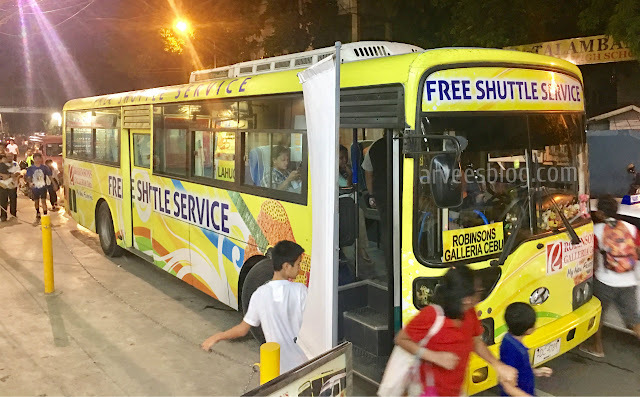 Not sure how much is the fare, it could be Php10 or Php20. I used the same driver who brought me to Bagacay Point, Bantayan sa Hari and Papa Kit's and considering the lost passengers due to the waiting time for the tour, giving him Php200 is not too much. Grateful to that driver. Thanks Rex! For safety reasons, the driver has an advice for ladies, if you want to do the tour solo, go with the drivers that wear the LIJODA purple shirt, it's an acronym that stands for Liloan Joint Drivers Association. 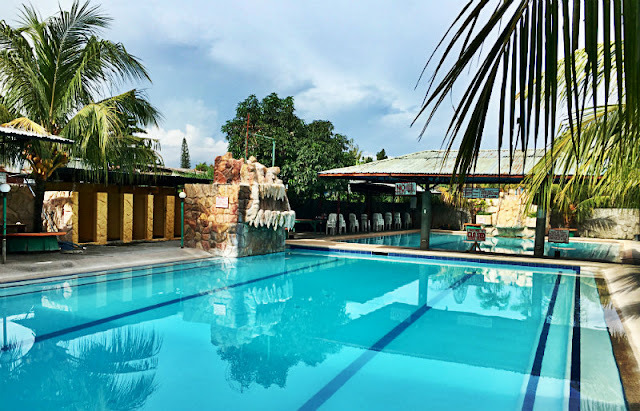 Papa Kit's in Liloan Cebu - It was a gloomy day when I went there but I like the place but Papa Kits should need to add a bigger pool, though considering how vast the place is. Liloan is home to the very famous rosquillos in Cebu, Titay's. It has been in business since 1907. 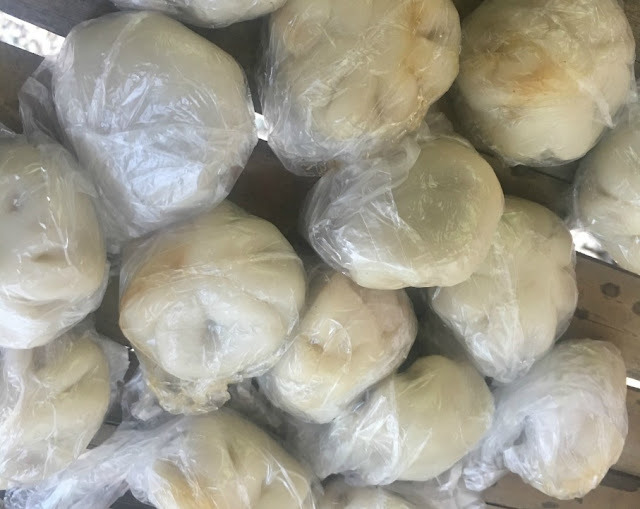 Give them a visit, it's just a walking distance from the municipal hall and please do not forget to buy masi, another Liloan's famous delicacy which is sold on the sidewalk near the municipal hall/church. 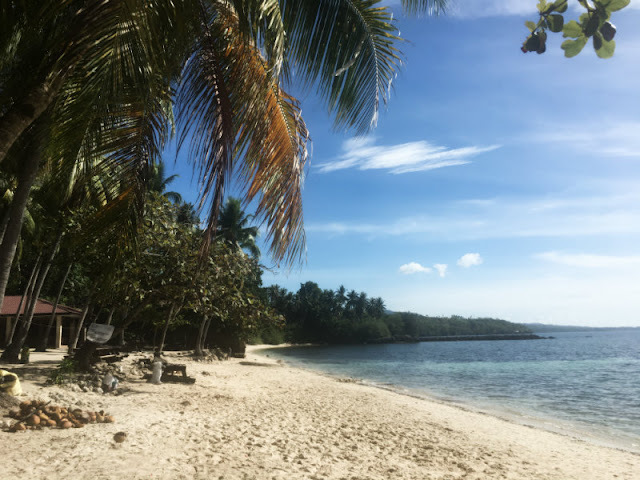 Liloan used to be our beach destination when we were younger, specifically Pepito's Beach. 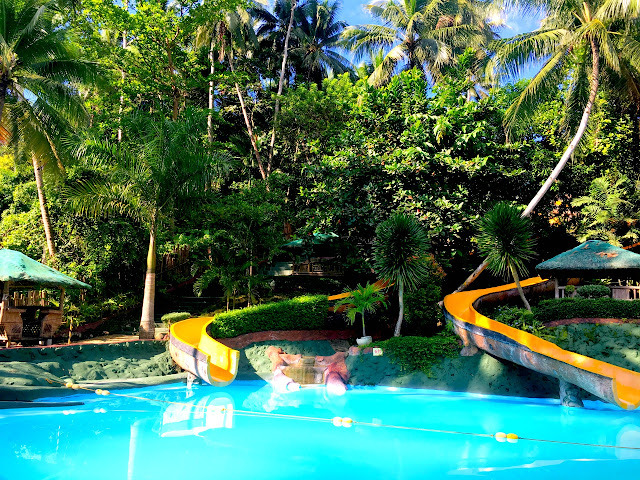 There are many beach resorts alongside Pepito's Beach suh as Barrufols Beach Resort, Seafront Beach Resort, etc. 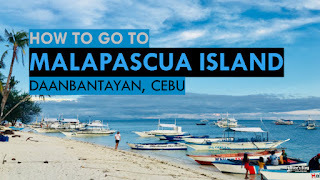 Resorts and beach resorts in Liloan that are in other location are: Pilapil Beach Resort, Resort Cebu, Pangeas Beach Resort, etc. 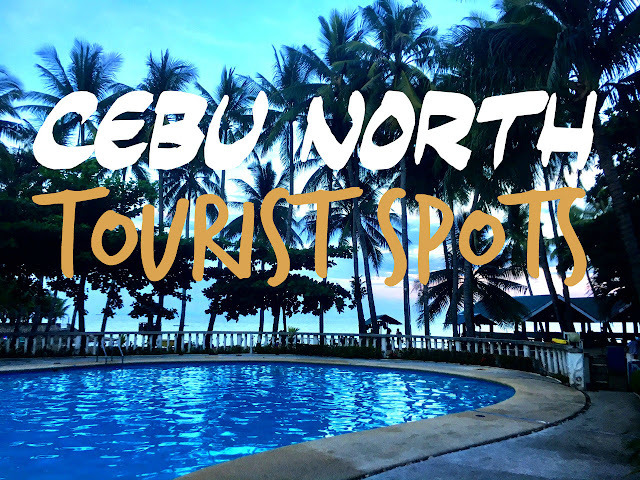 Beach Resorts and Beach Destinations in Cebu. Gaisano Grand Liloan - if you are running out of cash, there's Metrobank there. You can find places to stay in Liloan via Agoda, TravelBook, Airbnb, Trivago, etc.